Dog Profile: Quenna von Rief is a gorgeous black and red female with an excellent temperament. Quenna is protective when she needs to be but any other time she is about as sweet as they come! Quenna has nice energy and loves to play and please but is ready to settle down and be loved on anytime her family is ready. 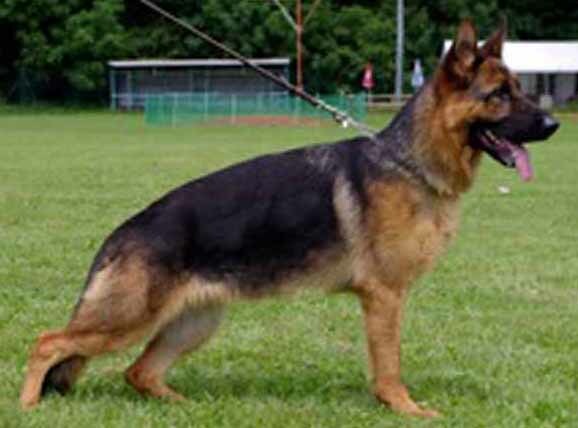 Quenna's pedigree is filled with V/VA and Schutzhund titled dogs. 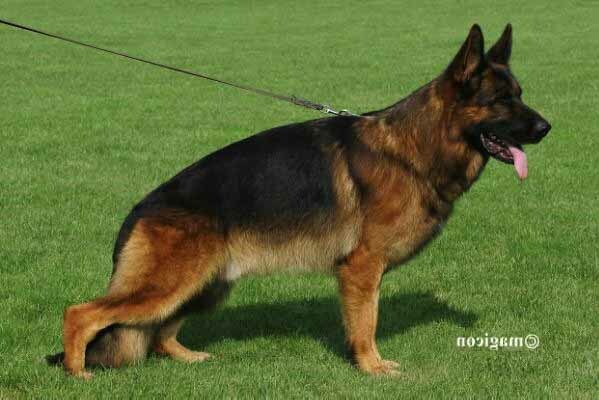 She is the daughter of VA Omen vom Radhaus and the granddaughter of 2x VA (two time world champion) Remo vom Fichtenschlag. 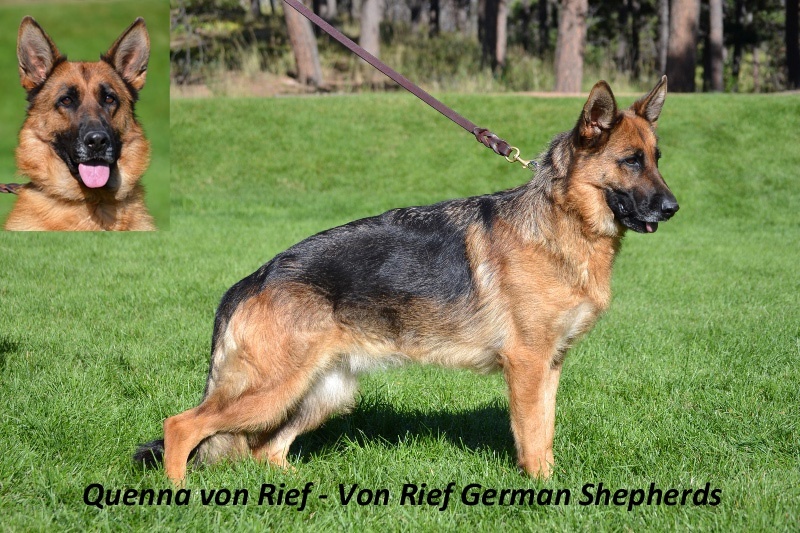 Quenna's mom is one of our retired breeding females, V Trixi von der Karl-May Hohle. Quenna's hips/elbows are OFA good/normal (preliminary) and she has passed her OFA cardiac exams. Quenna has been tested for degenerative myelopathy (DM) and is clear (DM clear) therefore she cannot pass along this horrible disease to her puppies. Quenna will pass long nice red pigment to her puppies along with great temperament and healthy bloodlines. We are excited to see what she produces! !